This entry was posted on November 30, 2012. Bookmark the permalink. I’ve joined together with the lovely ladies who have a ceramics studio in the unit opposite mine. 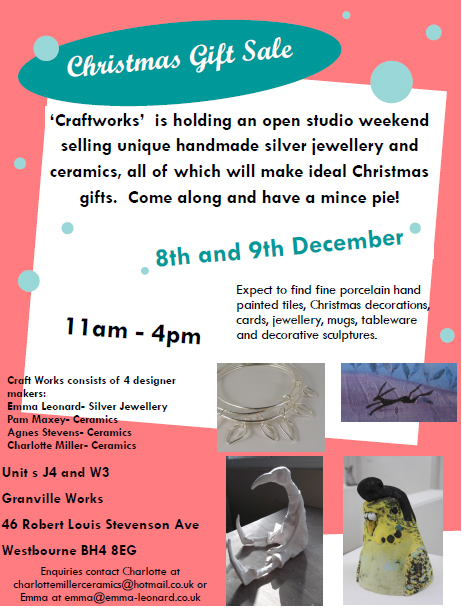 As ‘Craftworks’ we’re holding an open studio, which is the ideal chance to come and browse for some handmade Christmas gifts, say hello and have a mince pie or two! « What the students have been up to…..